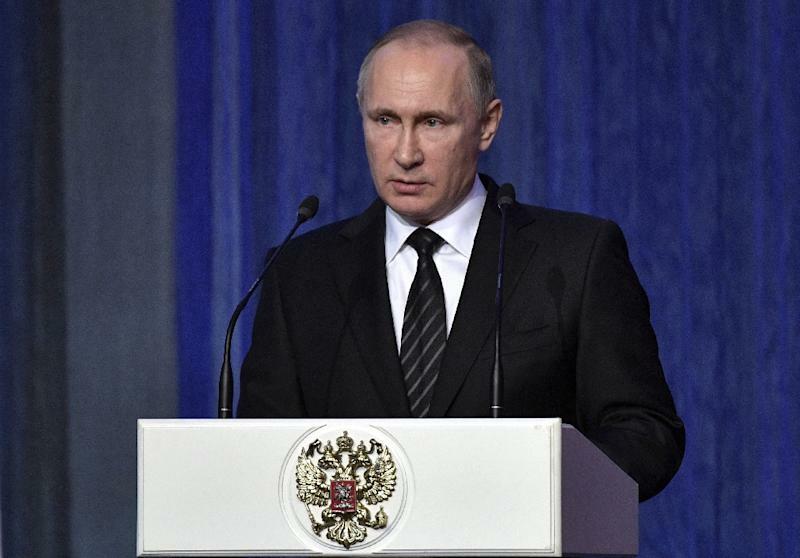 Moscow (AFP) - Russian President Vladimir Putin on Thursday called for the country to reinforce its military nuclear potential and praised the army's performance in its Syria campaign. "We must carefully monitor any changes in the balance of power and in the political-military situation in the world, especially along Russian borders, and quickly adapt plans for neutralising threats to our country." He said Russia's military had successfully demonstrated its capabilities in Syria, showcased its technology to potential arms buyers and helped the Syrian army make considerable advances. "The Syrian army received considerable support, thanks to which it carried out several successful operations against militants," he said. "The effective use of Russian weapons in Syria opens new possibilities for military-technical cooperation. "We must take maximum advantage of this. 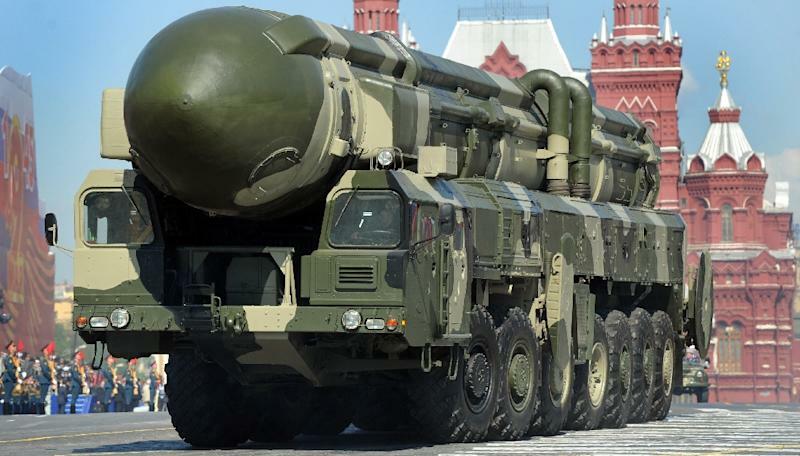 We know there is interest in modern Russian weapons from foreign partners." Russia began its bombing campaign in Syria in September 2015 in support of President Bashar al-Assad, with its special forces also operating on the ground in the country. Defence Minister Sergei Shoigu said the military had used "162 types of modern armaments during the military campaign in Syria," including its Sukhoi warplanes and MiG and Kamov helicopters. "They have shown to be highly effective," he said. Shoigu produced figures for the entire campaign in Syria but did not mention any estimate of civilian casualties. Russian warplanes have "liquidated 725 training camps, 405 weapon factories and workshops, 1,500 pieces of terrorist equipment, and 35,000 fighters, including 204 field commanders," he said. The Russian airforce has conducted a total of 18,800 sorties and carried out 71,000 strikes since the start of its campaign, Shoigu said. "In general, the operation has allowed (us) to solve several geopolitical problems," he said. "We have considerably damaged international terrorist organisations in Syria, stopped their expansion... (and) prevented the breakup of Syria." Russia is prioritising its Asian partners including India and China for arms sales, he added. Shoigu said NATO activities along Russia's western borders have grown eight-fold over the past decade, forcing Moscow to send more warplanes to prevent breaches of Russian airspace. Next year, four additional S-400 anti-missile defence systems will be delivered to the army, and Russia will pay particular attention to its Western flank and the Arctic, he said. "First and foremost, we will continue to increase military capabilities... take measures to reinforce troops in the western, southwestern and Arctic strategic sectors," Shoigu said.